While we did have a nice, relaxing weekend, watching movies, scrapbooking, biking, and just enjoying the downtime together, we weren't exactly doing nothing... We had a few things we wanted to get done before the baby arrives, so we tackled some big jobs and got a little step closer to ready. We took in all the recycling, made a few freezer meals, froze some baking, cleaned up the garage, the kitchen, the freezer, the utensil drawer, the window sills and anything else that was standing still. All those fall cleaning things that can get overlooked. We also bought a new car! That's right. We're having a baby, apparently now we need lots more room... 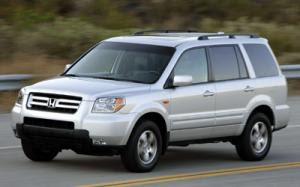 So, we bought a 2007 Honda Pilot and traded in the CRV. A bittersweet day, because the CRV was a great vehicle, still is, actually, but we travel too much and the kilometres were really starting to add up. Actually, that's not our exact car... I haven't taken a picture of ours yet, but that's the colour and year and such. Here's a larger image of a silver Pilot (ours is white like above). Just need to install the car seat and we're ready to go! Here are a few more Europe layouts. In Santorini, we rode a donkey up the cobblestone path that winds up the island from the port to the villages. This is an experience! If you're at all afraid of heights, it will make you uncomfortable to ride on the back of an animal that knows the faster he gets to the top, the faster he gets to relax. On one side, you have jagged rocks and tourists, on the other, you have a steep drop to the switchback below. 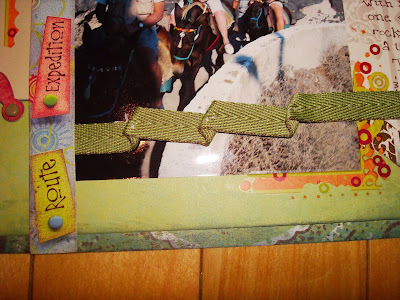 And a closer look at one of my favourite ways to attach ribbons. No need to keep them in straight strips, mix it up for a unique look. 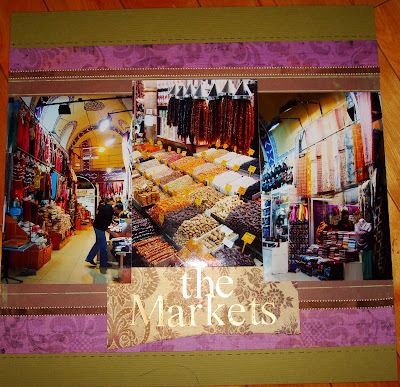 These are pictures of the Egyptian Spice Market and the Grande Bazaar in Istanbul. I kept it pretty simple because the pictures are so colourful. 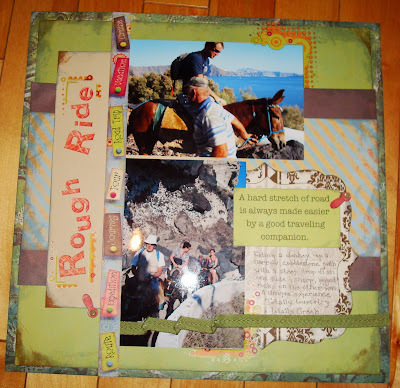 Here, I used ribbons as a straight border. I found a great way to attach ribbon as well. 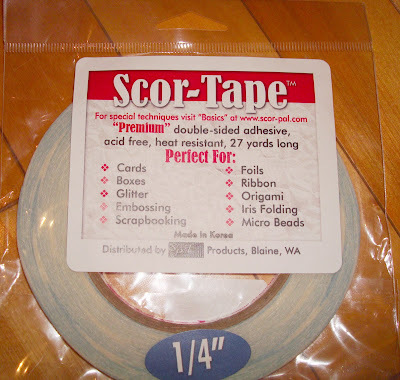 This Scor-Tape was in our goodie bag at Scrapbook, Eh! Contact Deanna (owner of Clipper Street in BC). This is actually Sookwang(sp?) in Scor-tape packaging. It is DIRT CHEAP (from $3 per roll for the tinnest and goes for miles)and comes in a tonne of different sizes! I am sure they would ship to you... tell her I sent you and she will take awesome care of you!